John Cage may have had a book titled For the Birds, but his contemporary, Olivier Messiaen, often composed from the birds. Messiaen’s adaption of birdsong to art music was the foundation of his work from the early 1950s onward, and this provides the inspiration for Alberto Novello and Flavio Zanuttini’s Le Retour des Oiseaux. To be sure, Novello, an Italian sound artist currently residing in the Netherlands, is no ornithologist, though he does bring a rigorous scientific background to music. Originally trained as a nuclear physicist in Trieste, he eventually obtained a doctorate in music psychology after taking a master’s degree in a multidisciplinary program in art, science and technology. His work addresses the interaction of sound and perception and the associations that result—a kind of musical phenomenology afforded by the application of new technologies to sound production. Le Retour des Oiseaux is consistent with this program; on it Novello, who goes by the name JesterN, works with real-time electronic manipulation of sound to devise an aural plasticity that plays on the listener’s attentiveness, memory and willingness to recognize the audio uncanny in the deliberate distortion of sound properties. Joining him is Udine flugelhornist Flavio Zanuttini, a musician whose background embraces big band jazz, free improvisation, contemporary art music and points beyond. He and Novello worked together previously on a 2013 remake of Don Cherry’s Complete Communion, undertaken by Zanuttini’s punk-jazz group Arbe Gabe. 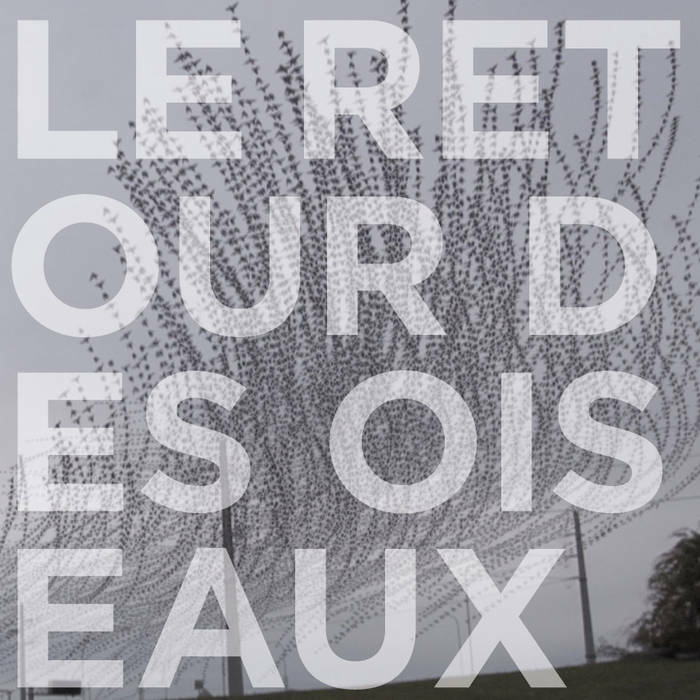 Their collaboration on Le Retour des Oiseaux is a more cerebral affair, rooted as it is in the tradition of the electroacoustic avant-garde. The result is a set of masterfully constructed, coloristic works emerging from the fecund meeting of acoustic brass and the technological imagination. Each of the five pieces is named for one of the letters spelling out “BIRDS,” a bit of language play that alludes perhaps to what the musicians describe as their philological interest in Messiaen’s aesthetic. Novello and Zanuttini’s own aesthetic consists in the complex aggregation and separation of Zanuttini’s live and recorded flugelhorn with Novello’s electronic inventions. The resulting music is texturally rich and highly spatialized, though apparently the recording is only a partial representation of the original live performance, which involved a quadrophonic sound system and a visual component as well. But what of the birds? Oblique refigurations of birdsong do weave in and out of the pieces, whether as the ambiguous chirpings of electronics or in the short, repeated motifs of the flugelhorn. From the very first track we hear an electronic simulacrum of distant masses of birds engulfed by rising winds; the flugelhorn comes in with a three-note melody that serves as the core of an accelerating improvisation. Assisted by Novello’s real-time recording, playback and superimposition, Zanuttini takes this compact cluster of tones and combines, reiterates and varies them, much as a calling bird might do (albeit a particularly deep-throated one). The overall pattern holds for I, where Zanuttini plays fragments of the whole tone scale, adding and subtracting chromatic tones as he develops his line, while Novello contributes samples of birdsong—or electronic mimicry of birdsong. The piece builds up to an atmosphere as dense as an impending summer storm. In a deft play of contrast R follows with a kind of industrial adagio, which sets up a subsequent contrast with the hyperactive, pixillated D, sounding something like the hypothetical inner life of a ricocheting pinball in a game gone mad. S exploits the microtonal nuances of the flugelhorn through looping and layering, culminating in an otherworldly fanfare of timbral distortion.